The function of case management plays a central role in the coordination of services for individual with substance use and behavioral health disorders. Since individuals with substance use and behavioral health disorders are disproportionately at risk of having co-occurring physical and behavioral health disorders (Shulte & Hser, 2014), case management becomes a fundamental task of the helping professional seeking to intervene with these individuals. In this course, you will learn about the various tasks associated with case management, the application of these tasks to individuals with substance use and behavioral health disorders, specific professions that often assume the role of case manager, and emerging trends and promising practices in the field of case management. This course is intended for licensed behavioral health and substance use disorder professionals and organizations. Explain why case management is of central importance for treating individuals with substance use and behavioral health disorders. Identify three professions that act as case managers as part of their regular functions. List three settings in which case management is practiced. Discuss three attributes of the four models of substance use case management. Describe three populations that have specific case management needs. B. 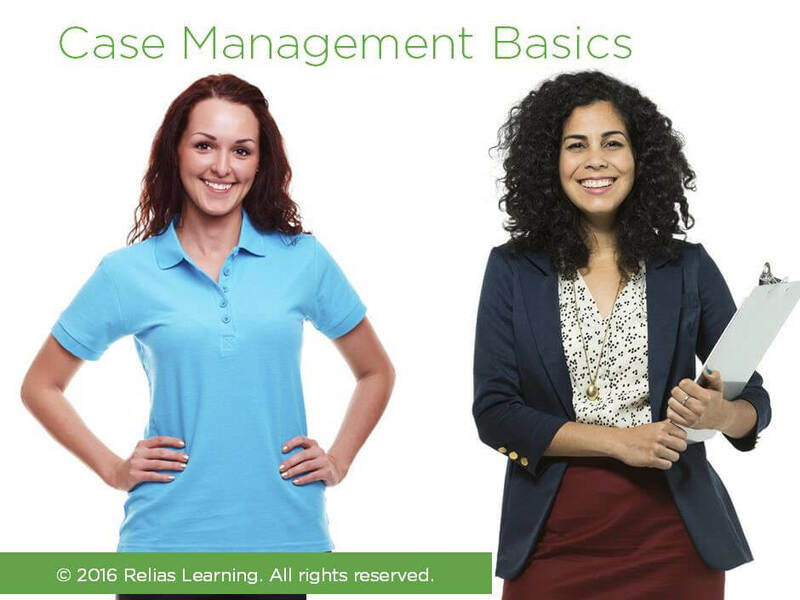 What is Case Management? Patricia Scheifler, Director of Partnership for Recovery, is a psychiatric social worker with more than 30 years of psychiatric treatment experience. As a nationally recognized speaker, trainer, consultant, and author, Ms. Scheifler has devoted her entire professional career to providing, developing, and enhancing recovery-oriented services for people who have severe persistent mental illness. She has created many workbooks, workshops, books, e-learning courses, and training videos for mental health service providers. Disclosure: Patricia Scheifler, MSW, PIP has declared that no conflict of interest, Relevant Financial Relationship or Relevant Non-Financial Relationship exists.